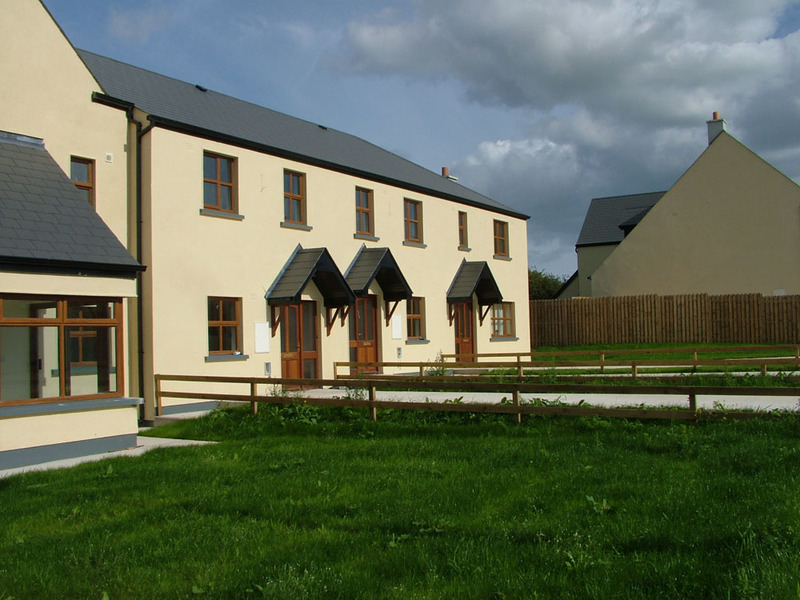 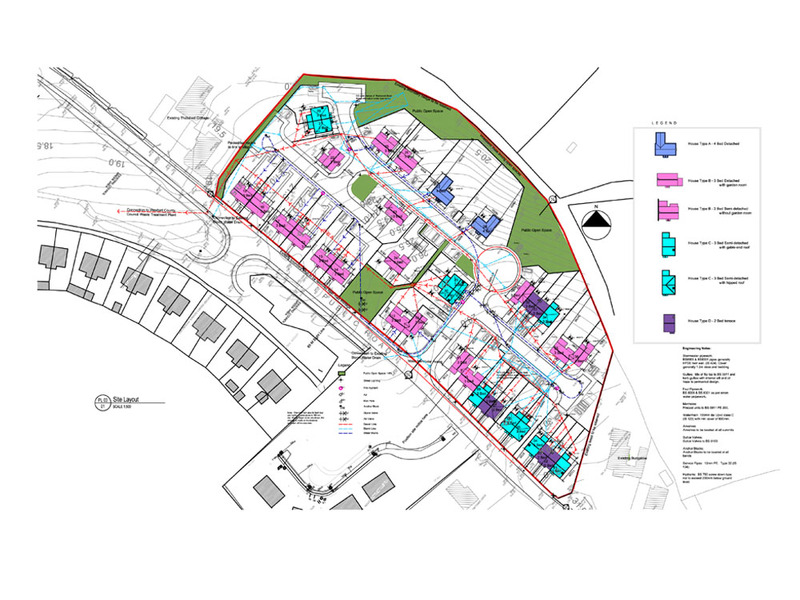 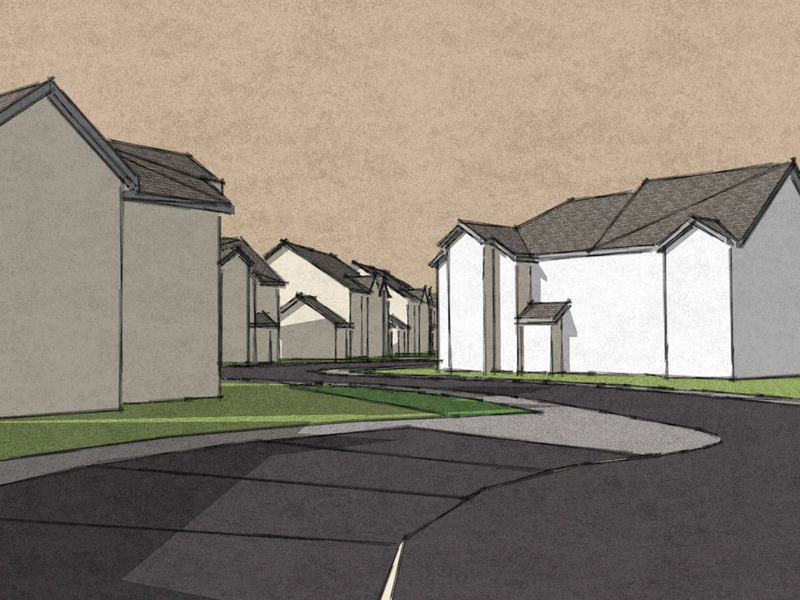 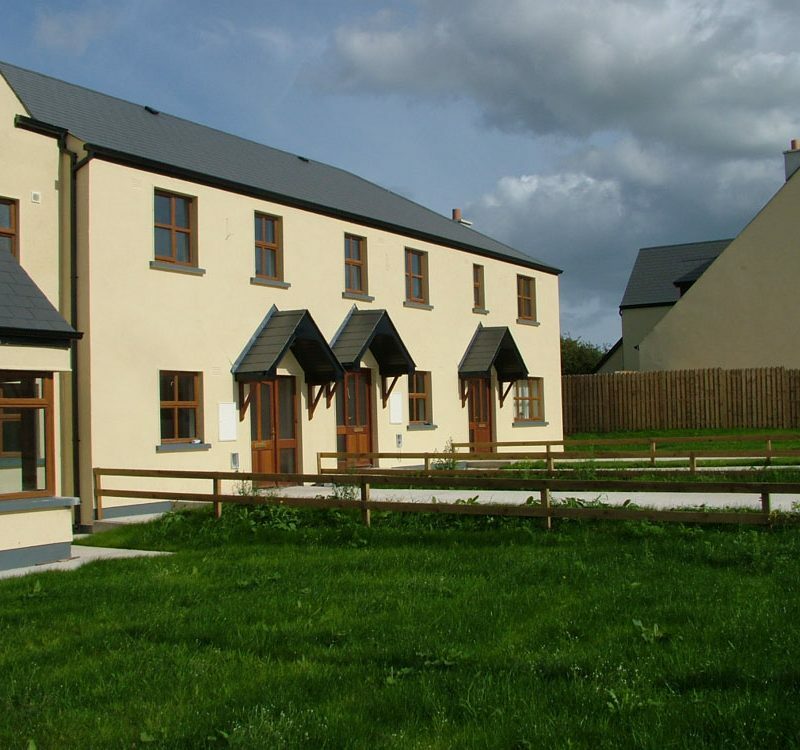 This development provides a small rural village with a medium density housing scheme. 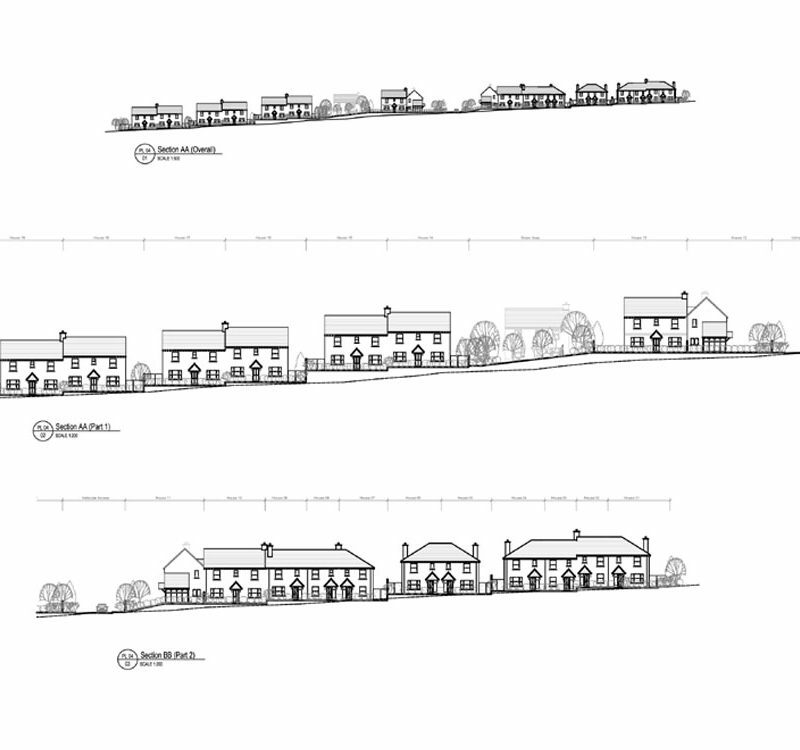 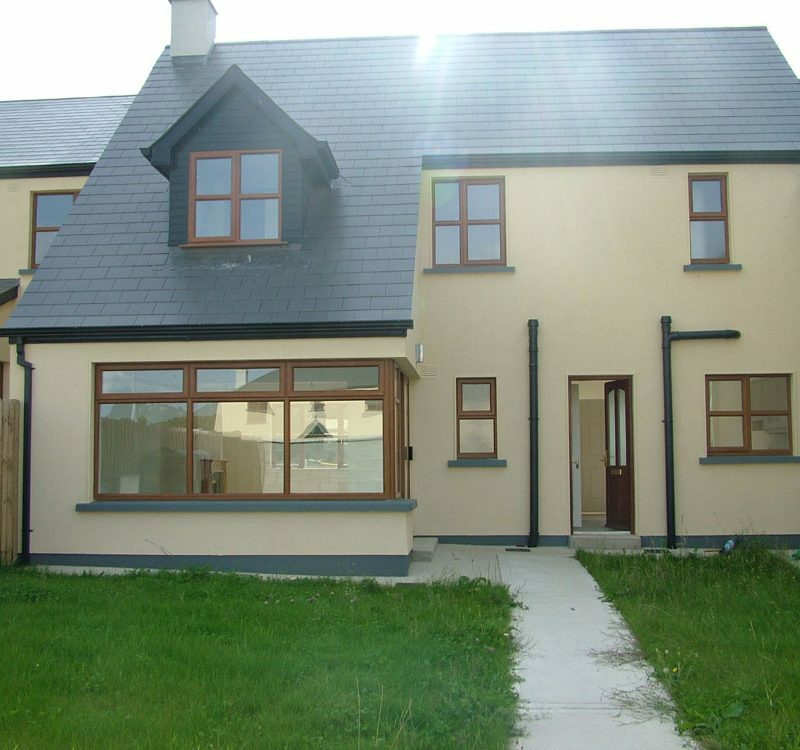 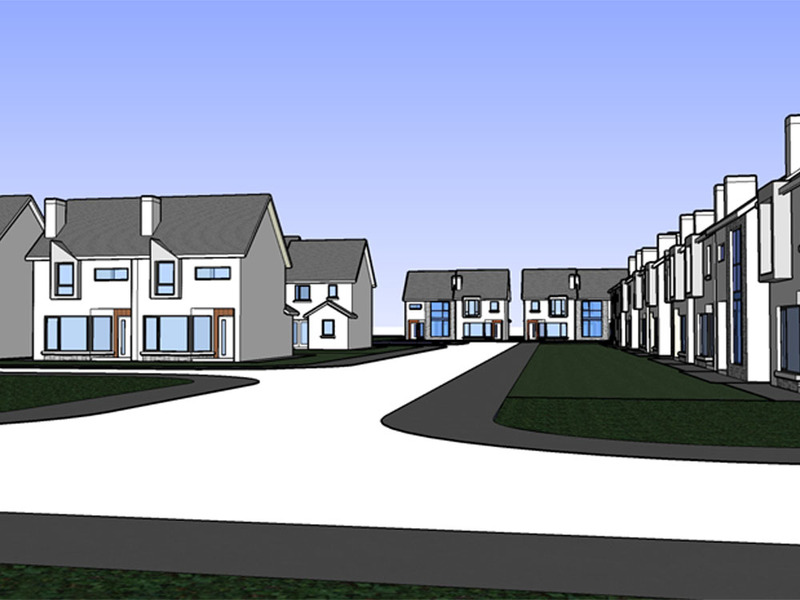 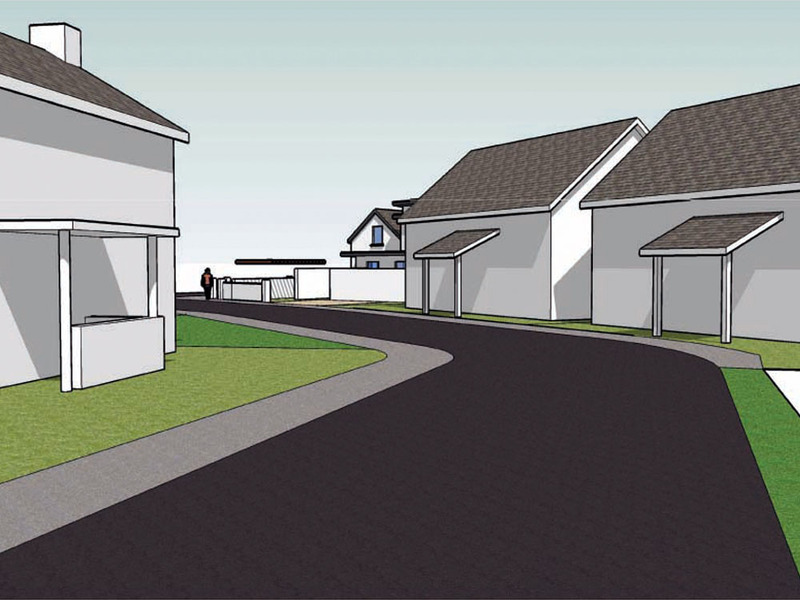 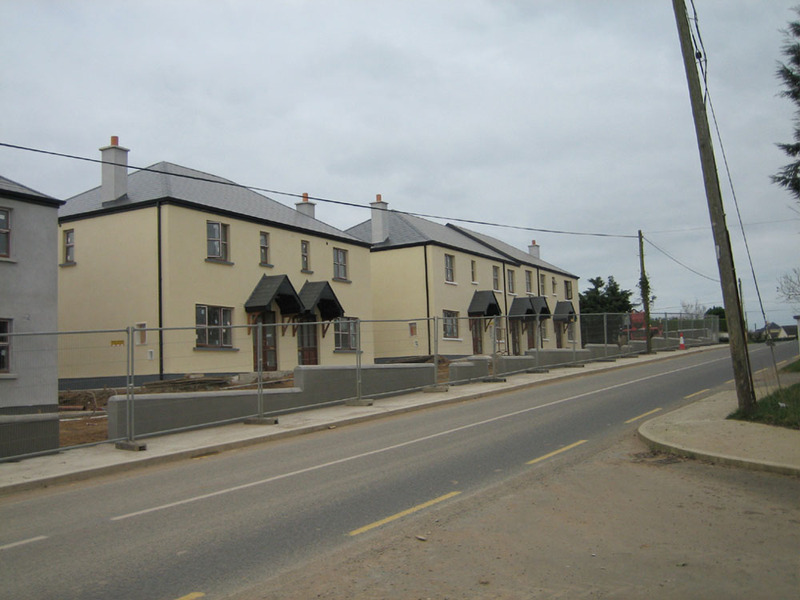 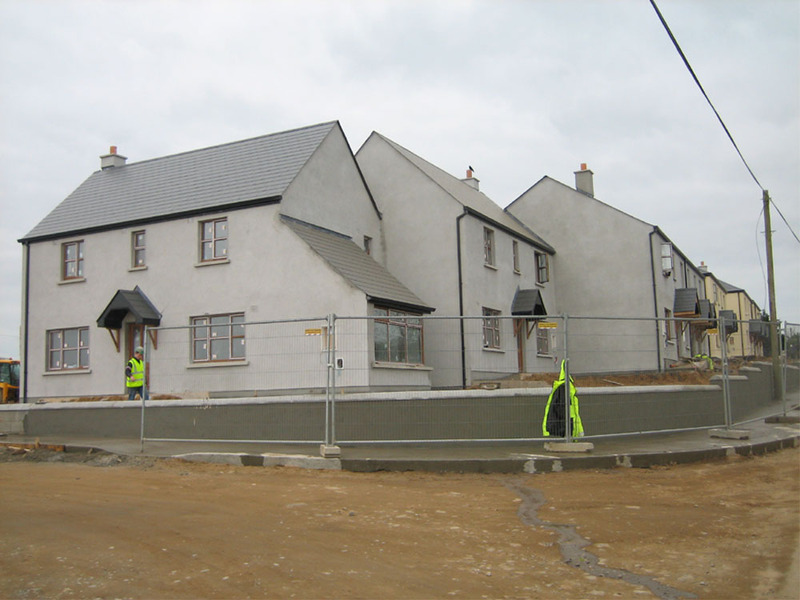 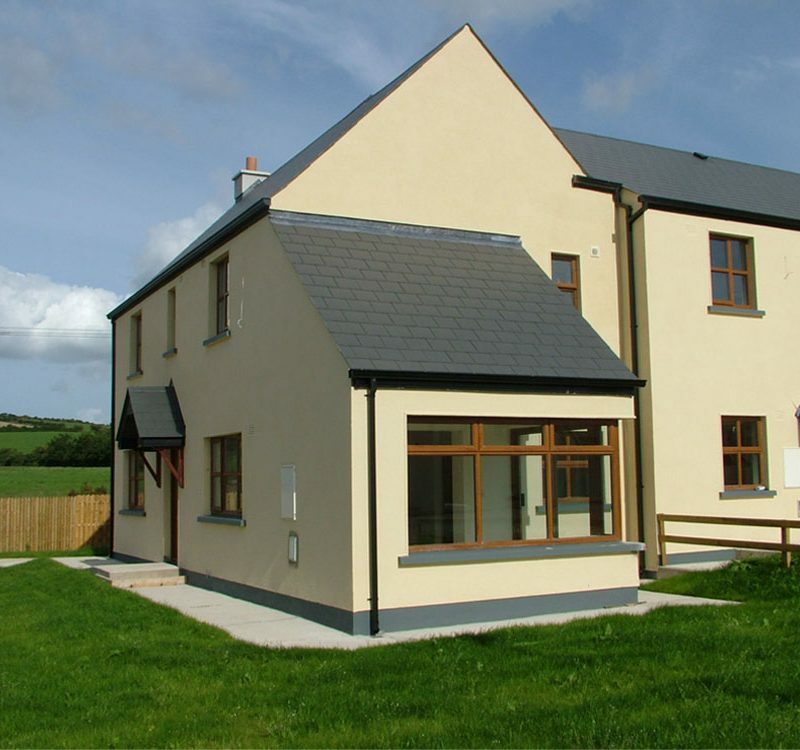 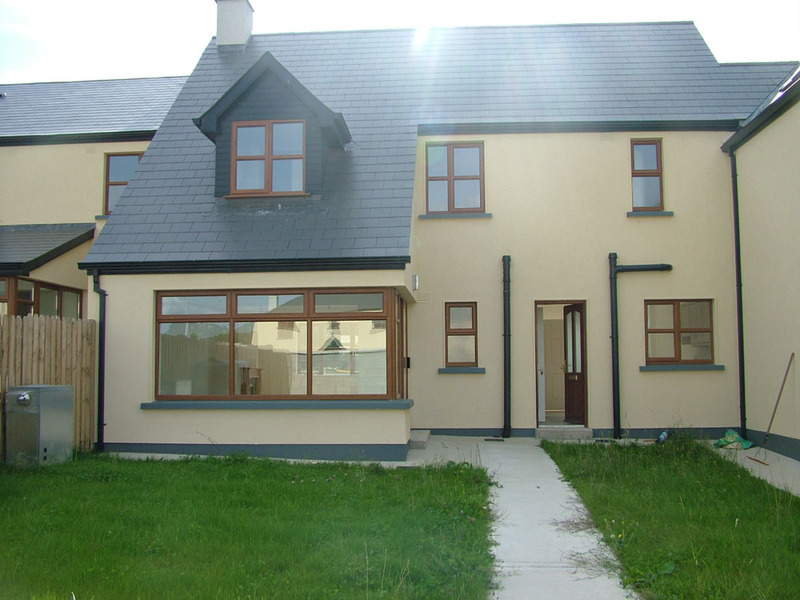 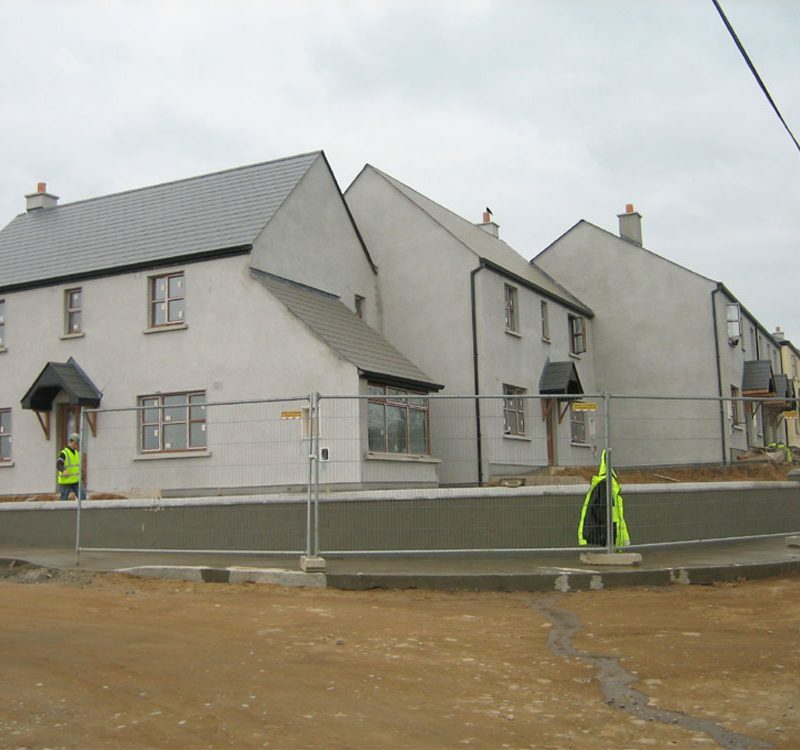 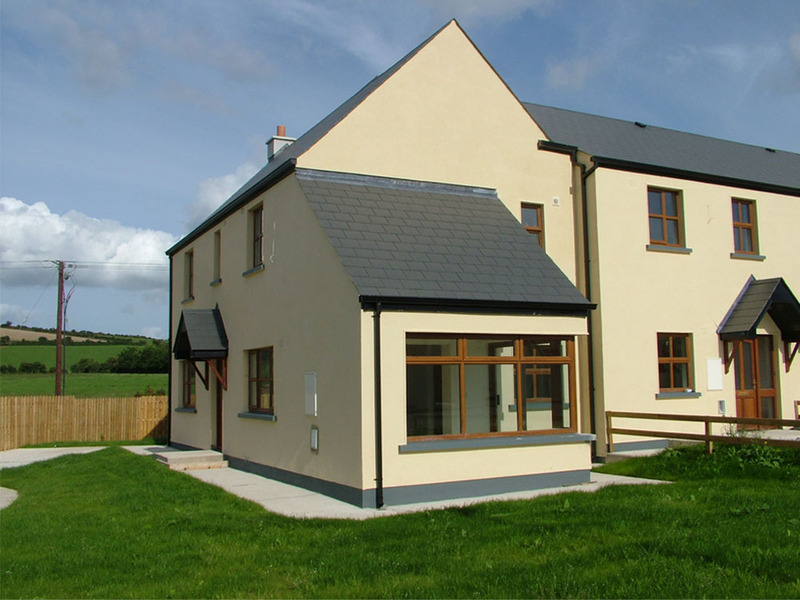 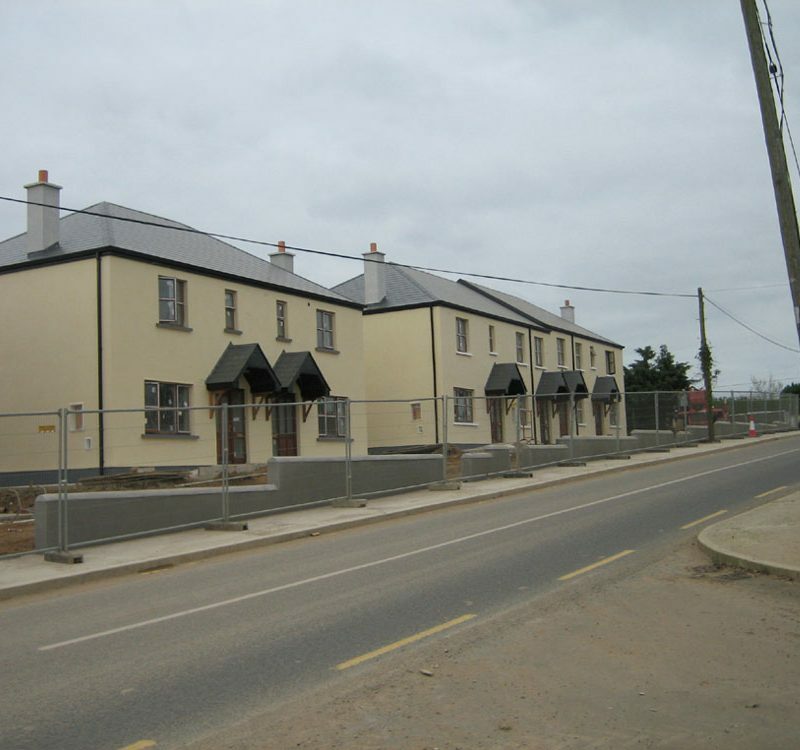 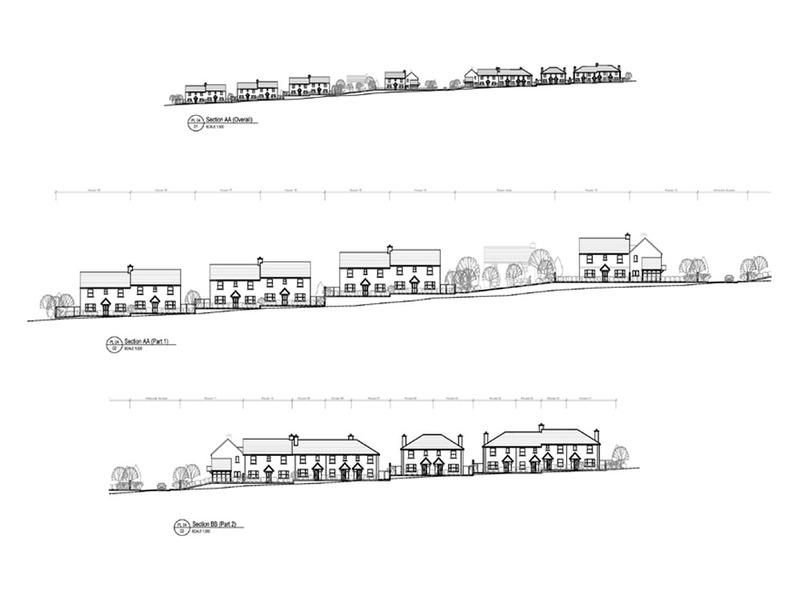 The project consists of a mixture of 3 & 4 bed dwelling both detached and semi-detached. 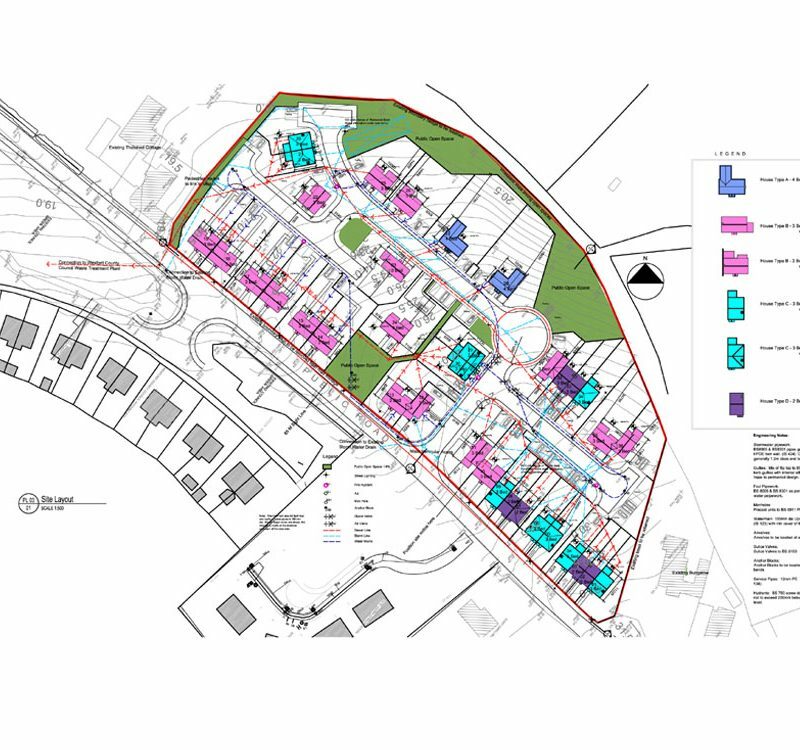 The units are arranged in a linear pattern adjacent to the public road with a more sporadic layout of units to the back of the development. 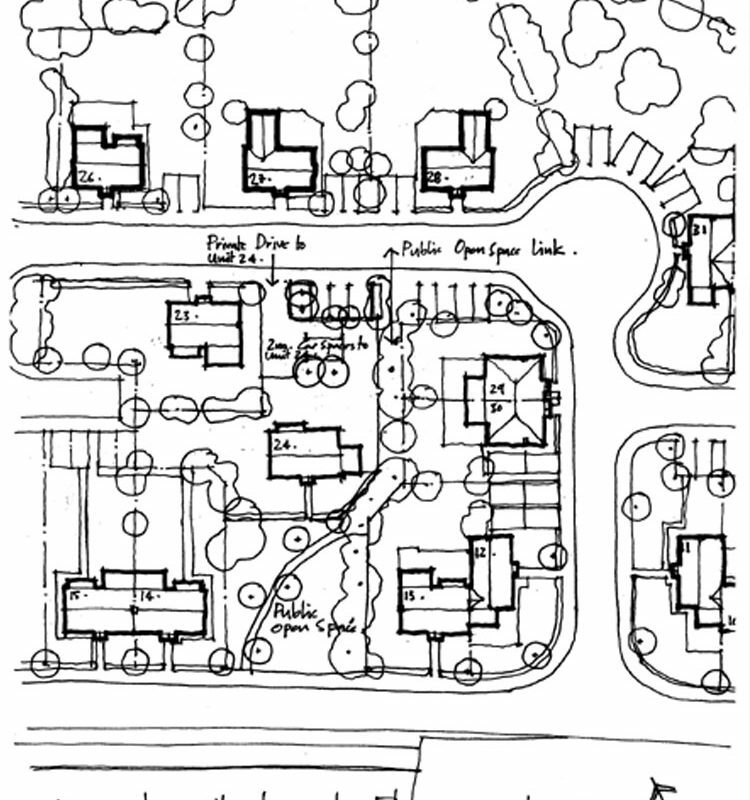 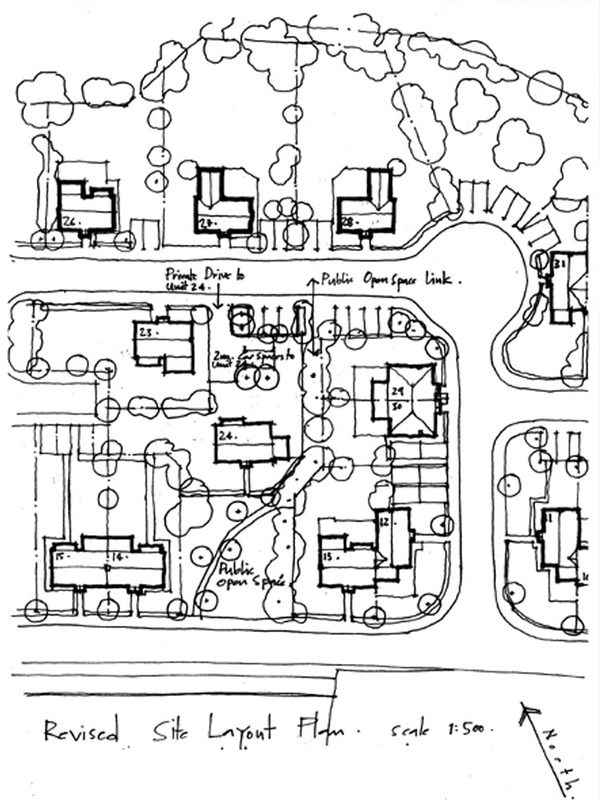 Public green areas punctuate the site layout providing outdoor community spaces.